Maurice Tiberius Æ28 follis Constantinople, regnal year 13 (595 AD). 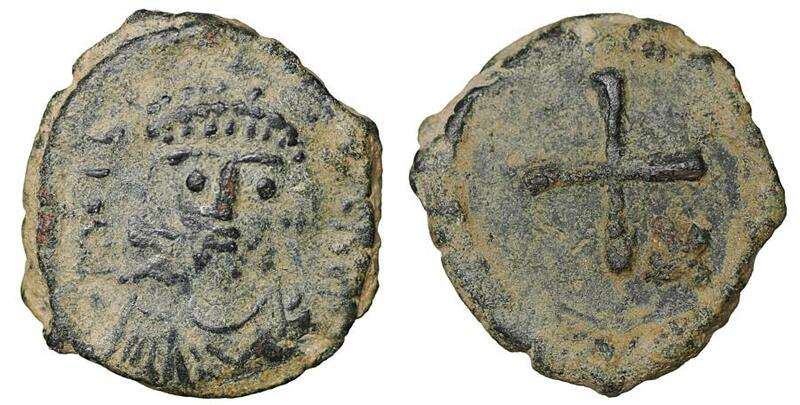 Justinian I Constantinople mint. Struck in 547/548 AD.